Home > Blog > Guest Posts > Providence Health Care is Ready to Celebrate Patient Experience Week! Patient Experience Week is an important annual event that encourages organizations to take the time to honour those that impact patient experience every day. This week provides an opportunity to recognize the efforts of the nurses, doctors, support staff, volunteers, the family caregivers, and others that go above and beyond to create exceptional patient experiences. 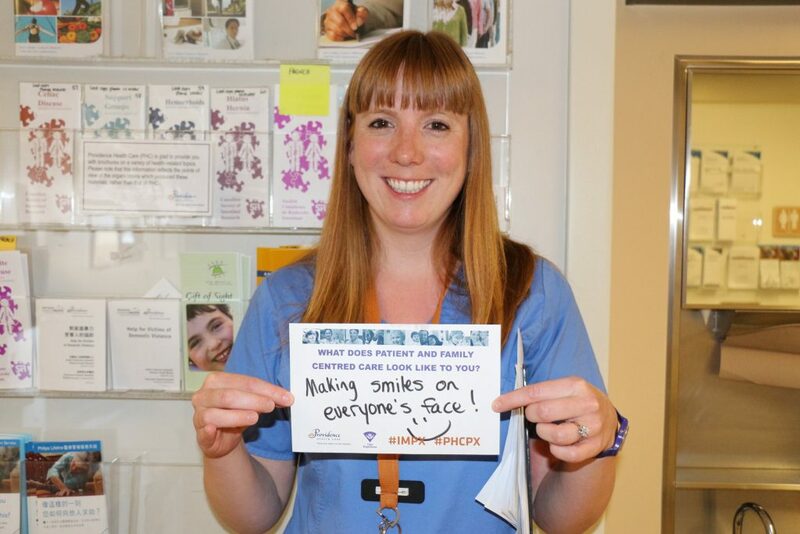 We recently connected with Providence Health Care’s Kelly Third, General Nurse Educator, to hear about what the organization has planned for Patient Experience Week. Kelly shared about Providence Health’s upcoming appreciation event, what they’re doing differently for 2018, and why this week is so very important. 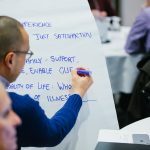 Why do you think Patient Experience Week is important? What does it mean to your organization? 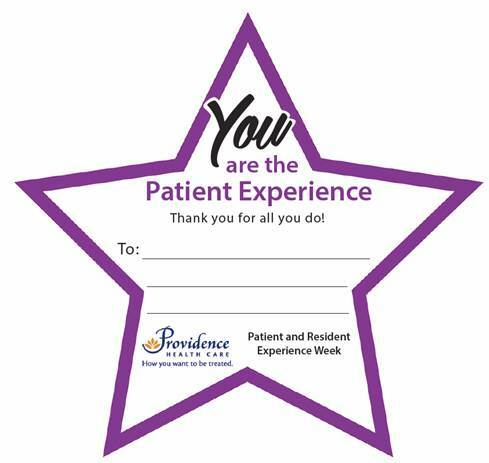 Patient Experience Week is an opportunity to celebrate the commitment and hard work of all those who contribute to the overall care experience here at Providence Health Care. It is a time to reflect on the progress we have made over the years, as well as a chance to recharge our momentum for future Patient- and Resident- and Family- Centred initiatives. The Care Experience is one of Providence Health Care’s five strategic directions. We engage with Patient Family Partners to ensure that their perspective is incorporated into policies, programs and delivery of care. They are an integral part of our team, and their time and dedication means so much to our organization. How are you participating in Patient Experience Week? What are you celebrating this year? We are excited to be reaching out to various sites at Providence Health Care, from our acute care hospitals, to residential care sites and also some of our outpatient clinics. 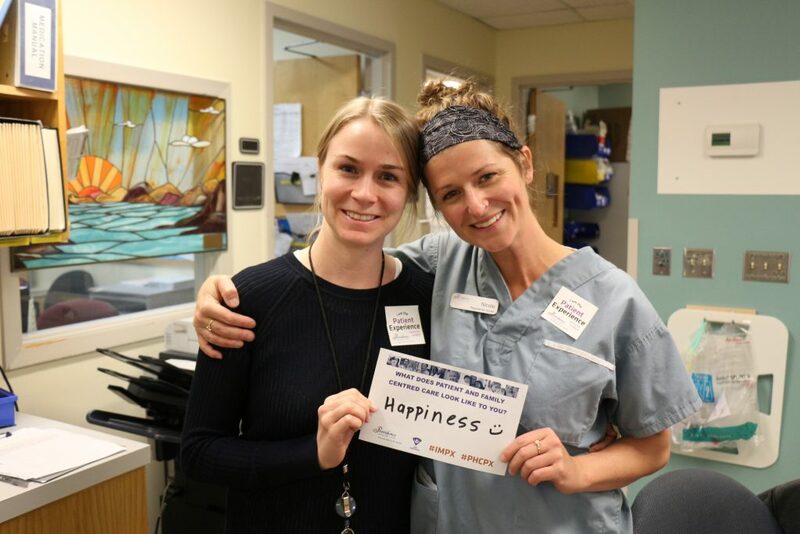 Our team hopes to connect with patients and their families, to hear about their care experience, and also to share our appreciation to those who contribute to positive experience of patients, clients and residents across our facilities. We will be visiting various sites across our organization throughout the week, as well as hosting an Appreciation Event for the Patient Family Partners who have volunteered their time to help improve our planning, delivery and evaluation of care here at Providence Health Care. Can you tell us more about this Appreciation Event? This event is long-overdue and we are so pleased to be bringing our Providence Health Care leaders together with all of our valued Patient Family Partners to officially thank them for their tremendous efforts over the years! I personally have worked with several Patient Family Partners on various projects and my hope is that they can come and join this celebration, so we can express our sincere gratitude and appreciation in person. 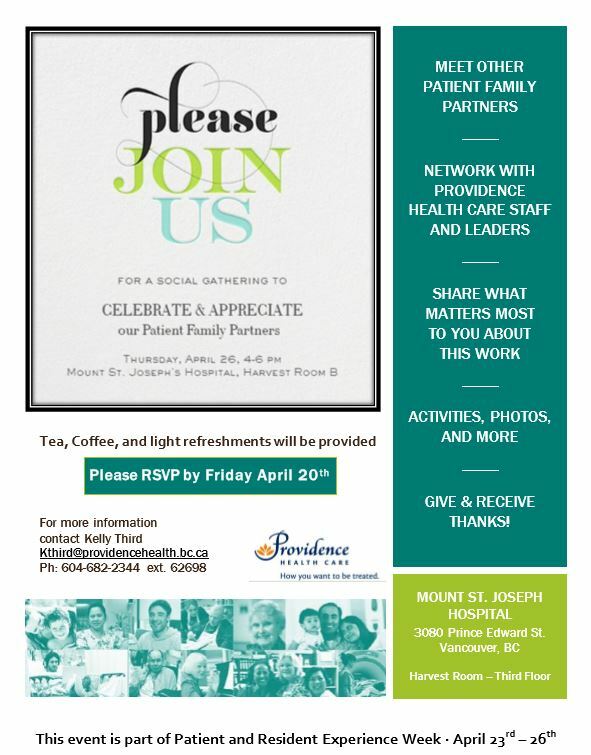 There will be some refreshments, activities, photo opportunities, a formal thank you from Providence Health Care senior leadership, and time to network with other Patient Family Partners. We value these relationships very much and we are excited to explore new partnership opportunities moving forward. If you’ve volunteered with Providence Health Care in the past, be sure to RSVP! Please see the invitation below for more details. How have you celebrated in the past? What’s different this year? This year, we have two new engagement activities: The Human Connection Challenge and the Appreciation Stars. The Appreciation Stars will be available for patients, clients and residents so they can give a small gesture of thanks and encouragement to someone who has made a difference for them during their time at Providence Health Care. For example, they could give an Appreciation Star to a volunteer, family caregiver, nurse, housekeeper, social worker, physiotherapist, physician or meal service attendant – really anyone who helped make their time with us more enjoyable! Good team work is essential to providing a respectful and caring experience for our patients, clients and residents, and there are so many people who are a part of that team. From the patients, and their loved ones, to the healthcare professionals, volunteers, administration and management, everyone plays such an important role, even if they don’t know the impact they have. Essentially, we all are the patient/resident experience. If you’ve volunteered with Providence Health Care in the past, please take the time to let your hard work be recognized with a fun filled day of celebration! See the invitation below for details and RSVP today. 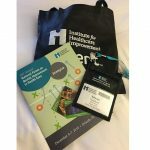 This entry was posted in Guest Posts, Health Care Partners and tagged Community Event. Bookmark the permalink.